If you haven’t already hopped on the WordPress theme builder bandwagon, I hope this post enlightens you to all the amazing options out there. See, if you’re like most WordPress users, you’re probably not an expert developer. So what happens if you want to create a page or a post with more complex functionality/design than the boring WordPress Editor allows? I mean, text and pictures are great, but how about a little variety?! If you’ve ever found yourself wanting to do more with your WordPress site, that’s where page builders come in. Page builders let you build complex designs without needing to know a single line of code. Instead of crafting of obtuse documents with symbols like <div> and <span>, you just drag over elements, edit them with an intuitive interface, and publish your beautiful design. Yup, they’re pretty awesome. And in this post, I’m going to cut through the filler and give you only the best WordPress page builders out there. Elementor bounded onto the WordPress page builder scene when it was released in July 2016. 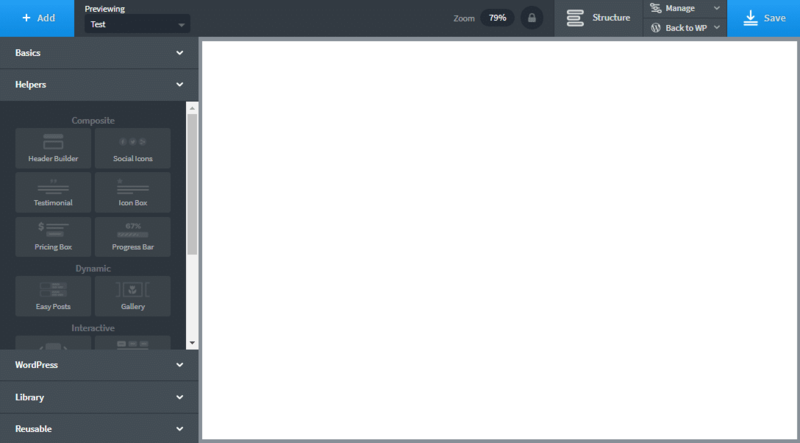 Though it’s a relative newcomer, Elementor has quickly become one of my favorite page builders. That’s because it offers one of the quickest, most glitch-free page building experiences out there. You edit everything in the front-end, which means you make your edits on the same design that your visitors will see. And you have a ton of control over where the different elements you use are positioned. And best of all – Elementor doesn’t lock you in with shortcodes. If you ever stop using Elementor, it leaves behind the clean code. And did I mention that it’s free? While Elementor did just release a Pro version of their page builder, the free version is still very full-featured. It’s missing a few elements like pricing tables and post grids, but you can still build beautiful pages without needing to spend a dime. More features you can see in our Elementor vs Visual Composer comparison article. The only thing I don’t like about Elementor is that it makes you edit your text in the Elementor interface, rather than letting you edit it in-page. Though it’s a bit pricey, Beaver Builder is one of the highest quality page builders out there. There’s also a free version, though to get real value from the builder, you’ll probably need to go with the premium version. Beaver Builder offers tons of elements, responsive designs, and it even sets you up with pre-made templates to give you a base for your pages. Another interesting thing about Beaver Builder is that the premium version includes a dedicated theme. You don’t have to use this theme, but if you do, Beaver Builder gives you a ton of control over your whole website’s design, not just your posts and pages, and you can even take advantage of ultimate addons for Beaver Builder to create awesome WordPress pages. Like Elementor, Beaver Builder also avoids shortcode lock-in. So if you ever stop using Beaver Builder, you’re not at any risk of losing your content. Visual Composer is probably the most popular WordPress page builder out there. But I don’t think that necessarily means it’s the best WordPress page builder. A huge reason Visual Composer is so popular is because it’s bundled with nearly every theme on Theme Forest. Still, you can’t argue with the numbers. And Visual Composer’s popularity has created an amazing marketplace for extensions. You can find Visual Composer extensions that add any number of helpful features. Visual Composer is a front-end page builder, so you can edit in the same final interface that your visitors see. I think something like Elementor has a better page building experience but Visual Composer is much more extendable, which is certainly something to consider. SiteOrigin’s page builder is a popular free option. To be honest, I’m not a huge fan of it because it lacks visual editing. But it’s good for making minor tweaks to your designs. Most of the elements you’ll build with are existing WordPress widgets, though SiteOrigin includes a number of extension options to add non-widget elements. You can further find tons of third-party extensions for even more flexibility. If you’re expecting to create beautiful, detailed designs with the same ease as the other WordPress page builders, I think SiteOrigin’s builder will disappoint you. I think it’s good for advanced users who want something lightweight, but not as easy for beginners. But if you just want a simple backend page builder to add some extra structure to your pages, it’s a good lightweight option. You might know the Divi Builder from its prominent inclusion in the Divi theme. 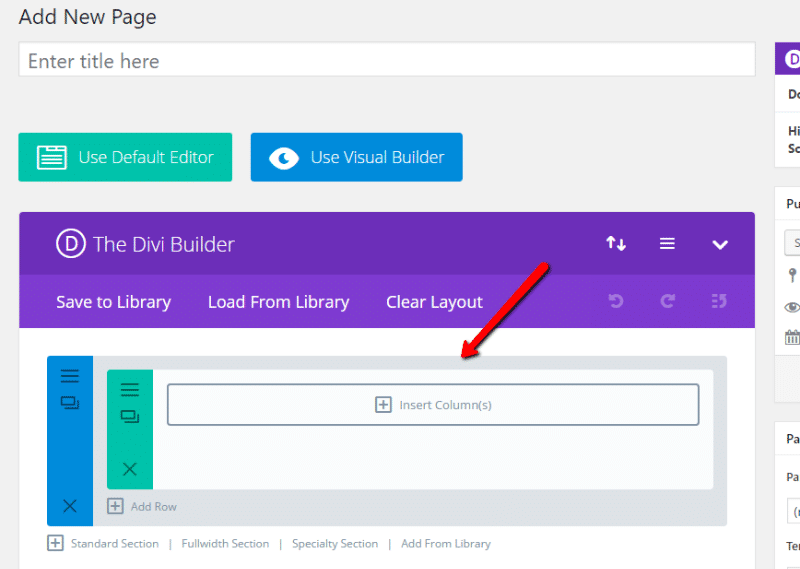 But did you know that you can also take the Divi Builder along as a standalone plugin? The decision to make Divi Builder a standalone plugin was a response to the shortcode lock-in complaints levied against Divi. Luckily for us, those complaints have given us another great page builder option. While Divi Builder currently lacks the front-end editing option that’s available in the theme version, Elegant Themes is working on bringing front-end editing to the plugin version of the builder. And if the front-end editing experience is as good as the one I reviewed in the theme version, Divi Builder is an absolute joy to use. Read our review of Divi WordPress Theme, and you can even check our Divi vs Elementor comparison. It’s right up there with Elementor and Beaver Builder in terms of functionality – just remember that it does use shortcodes. That means if you ever stop using Divi Builder, your content is going to be full of now useless shortcodes. Oxygen is a visual, drag-and-drop website builder for WordPress. It helps you build your entire WordPress site using visual editing, which is a bit more heavy-duty than your average page builder. In fact, it completely eliminates your theme from the equation, replacing it with its own templating system. If you want true theme building, I think it’s the most flexible page builder that you’ll find with respect to that. Basically – if you want to build your entire WordPress site with a page builder-like editor, give Oxygen a look. But remember that it’s not really designed to just build a few styled pages on an existing site. If that’s all you want, you’ll be better off with one of the other page builders on this list. Read our Oxygen 2.0 review for more details. Live Composer is great because it’s a full-featured, free front-end page builder. Yup – there’s no locked pro features. You get nearly everything in the free version. Like Elementor and Beaver Builder, Live Composer won’t lock you in with shortcodes. It leaves behind clean HTML if you ever decide to deactivate it. Live Composer ships with over 30 modules which gives you a good deal of variety. And if you need to extend further, they do sell some premium extensions. The premium extensions are very cheap, though. Only about $9 each. If you want a free visual page builder, I’d say Live Composer is second-place behind Elementor. Themify Builder is an affordable front-end visual page builder. Themify includes it as the default builder in all of their themes, but you can also buy it as a standalone plugin version. One great thing is that it includes over 40 premade layouts, so you can get started with professional designs rather than always starting from scratch. Themify Builder actually lets you edit in two modes. If you’re a fan of backend editing, you can easily switch between backend editing of abstract boxes and front-end editing of actual design elements. I always like plugins that let you switch. I spend most of my time with visual editors, but sometimes the backend view is nice to more easily tweak your layout. Best of all – Themify Builder works with any post type, so you can even use it to build designs for custom post types. I demoed the Themify Builder awhile back. It was nice and functional, but my personal preference is still more towards something like Elementor or Beaver Builder. Price: $39 for standalone plugin or $59 for plugin + extension bundle. The WordPress page builder market is hyper-competitive right now. You have a ton of choice when it comes to drag and drop page building. That to say, this list is by no means exhaustive. I tried to comb through the heaps of options and choose only the best. If you’re going to go with a free page builder, I wholeheartedly recommend Elementor. It’s powerful and a joy to use. If you want to go premium, then my recommendation is Beaver Builder. Both of these plugins will let you create beautiful drag and drop pages without locking you in with a mess of shortcodes. Ok – now it’s your turn. Which do you think is the best WordPress page builder? I use Elegant Themes’ Convertible theme on my personal site, which uses their ET Builder plug in. It’s a lot better and a lot easier than I imagined it would be, and it makes creating a landing page that actually looks good very easy. Great post. Thanks Geoffrey. That’s a great choice too. Your blog looks like a good resource. I use Visual Composer. What sold me was that I was able to create my own elements. Sometimes I use premium themes for clients and they might have a few shortcodes that I’d like to use, but I hate the idea of asking my clients to use shortcodes. So, I build them into Visual Composer. Their documentation could use a little help, but they do a good job with support. Also really hoping they build in an auto update feature soon. Thanks for the info. That’s a good idea for a use of the Visual Composer element builder feature. awesome, did not know of the existence of these tools will help me a lot! congratulations! I used Elegant Themes Builder, it’s easy to setup and use, very good indeed, didn’t find any bug, etc. It helped me design some nice layouts I couldn’t achieve with standard HTML/CSS. The only thing I noticed is that the pages with intensive use looked a little slower to render. This sort of thing is great for the non tech savvy user, but the extra impact they have on the weight and load of a site, so make informed decisions on the best solution for each project. Hi, you’ve missed one more drag and drop plugin for WordPress – MotoPress Content Editor. http://www.getmotopress.com/content-editor/ It offers all features listed below, 24/7 support and much more opportunities to build impressive posts. Intuitive functionality is really easy to use. Fits perfectly for end users and developers. Hi, These are some great content editors. 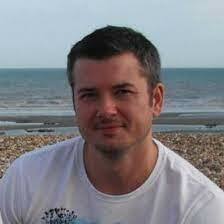 They give you a lot of flexibility, while speeding up the content management a lot. I suggest checking out this one too http://codecanyon.net/item/frontend-builder-wordpress-content-assembler/5310338/ It gives you instant preview of content you are building without need of refreshing the page or loading preview screen. They seem to be making way and it looks like it could be a direct competitor with Visual Composer with basically the same cost effective price ranges. I have not had a chance to test it out yet as I do not currently have the funding for it but as soon as I get my first client I will be making sure to check out bother editors and hopefully compare them side by side. Try this http://wordpress.org/plugins/page-layout-builder/ too. The plugins includes an exclusive feature to edit / build page layout visually from front-end. I draw the distinction between WordPress and standard website builders but I didn’t mention drag and drop plugins that are available with WordPress. I was wondering what categories were used to test these page builders? I personally use Page Builder Sandwich as my page builder and it bewilders me it was not included in your list. What does it lack to be part of your list? Looking forward to what your input!